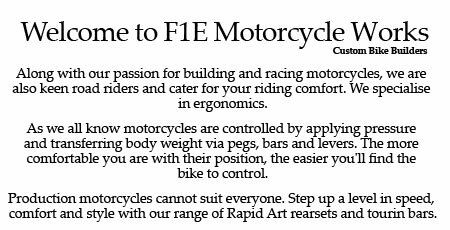 Along with our passion for building and racing motorcycles, we are also keen road riders and cater for your riding comfort. We specialise in ergonomics. 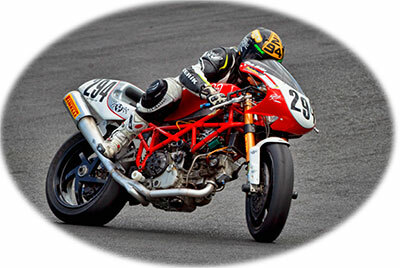 As we all know motorcycles are controlled by applying pressure and transferring body weight via pegs, bars and levers. The more comfortable you are with their position, the easier you'll find the bike to control. Production motorcycles cannot suit everyone. 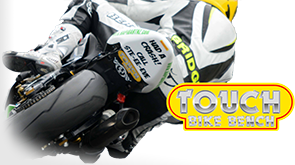 Step up a level in speed, comfort and style with our range of Rapid Art rearsets and tourin bars.